A super fast fifty millimetre lens can be a lot of fun. But arguably it’s not the best all around type of lens to have; it’ll be bigger and heavier than a more modest speed fifty, and likely not as good stopped down. It’s more of an occasional use specialty lens. So it makes sense not to spend vast sums for a Leica Noctilux. No-one makes a modern f1.2; and if and when they do it will no doubt be extremely expensive and very big and heavy. That makes the better legacy 50mm f1.2 lenses well worth investigating. 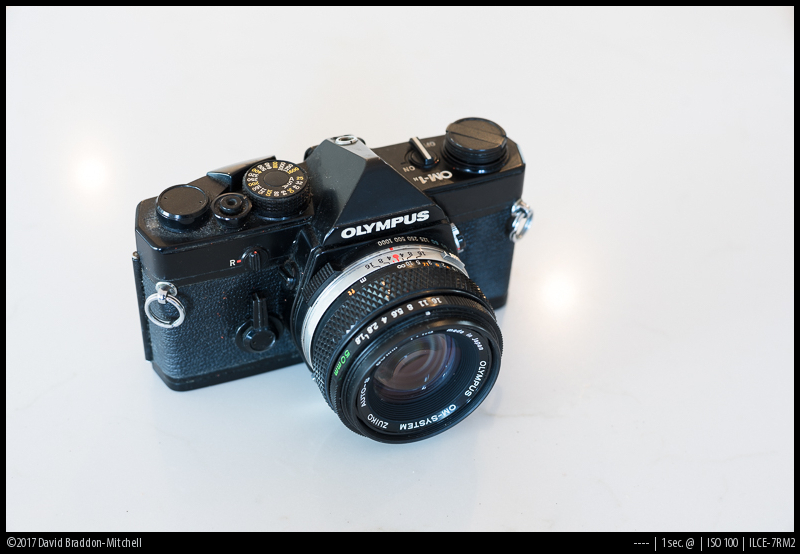 This review is of one of the better contenders: The OM Zuiko 50mm f1.2. It has a reputation for being usably sharp in the middle wide open, and sharpening up to decent overall performance stopped down. Does it live up to this reputation? Read on! Aperture range: f1.2-f16 in whole stop detents. 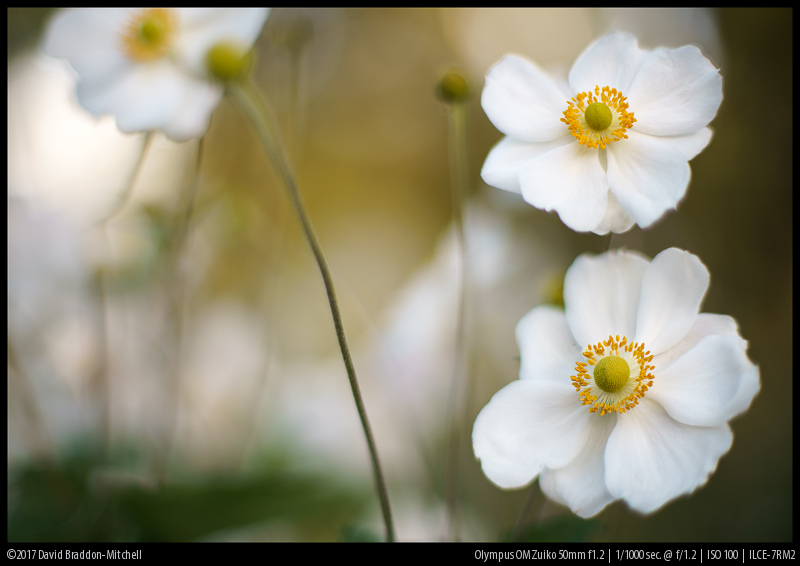 Olympus made two f1.2 standard lenses for the OM system. The earlier one is the 55mm G-Zuiko f1.2 from around 1974; this lens was pretty good, but was both a little less sharp and contrasty, and had busier bokeh, than the later 50mm. The later lens, of which this is a review, was a complete redesign. It’s one of their late period gems, released in 1982. It’s multicoated, and nicely contrasty. The lens handles beautifully as of course do many classic lenses of the era. It has a very smooth helicoid, and is surprisingly compact for so fast a lens. The lens has positive aperture detents in whole stop intervals, which are nevertheless easy to set at intermediate locations. The focussing ring is large and smooth, and the OM rubber ring is in my opinion one of the nicest both to locate and turn of all the classic designs. Even with an adapter the whole package is not so bulky or heavy as to prevent carrying it around all day. At typical environmental portraiture distances, though, the bokeh can become very busy wide open if the background is relatively close and has specular highlights. Of course how much of a problem this is depends on taste. While I would hate it if every lens I had did this, the effect in the following image is something that I don’t mind occasionally. Whether you agree is another matter! The next image is taken at a distance to subject and background that produces some slightly questionable effects wide open; but here at f2 the background is rather lovely. 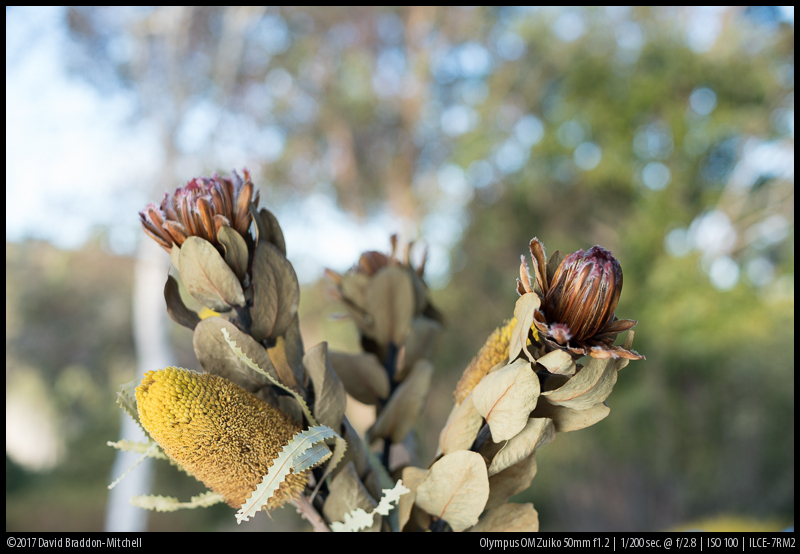 One reason to own this lens if you like to shoot at f2 is that while slower legacy lenses are often better stopped down, this Zuiko seems overall better in both bokeh and resolution than its slower brothers (at least the ones I’ve used) when shot at f2. At some distances, the bokeh wide open is beautiful and smooth: in the next image the tree is about three metres away, and the church another two or three metres behind it. The church is beautifully and evenly softened, with no nervousness, in a way that no slower lens could manage. The combination of closer distances with specular highlights, though, can produce a pointillistic effect which you will either love and think to be impressionistic, or else hate. I oscillate between these views. Here is an aperture series designed to give a sense of what bokeh to expect at typical portrait distances, with a background which is both a bit messy (tree trunks and foliage) yet far away (10m). 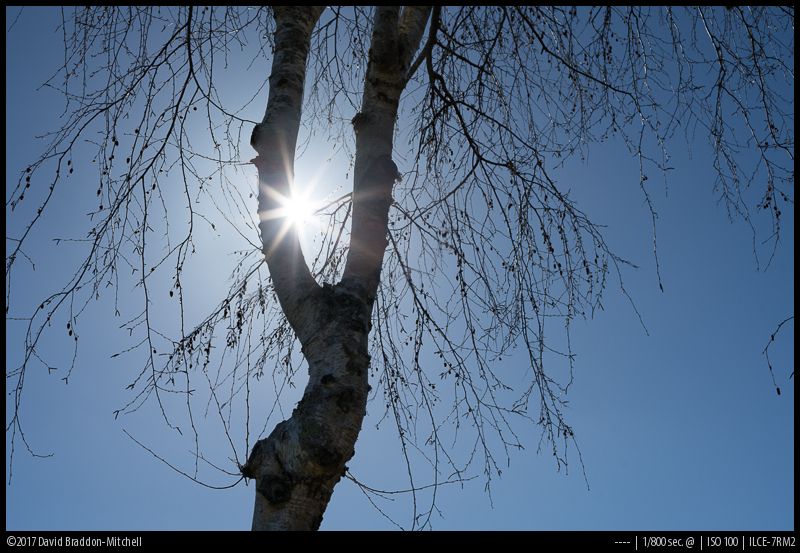 Click on the tabs above the image to view the bokeh at different apertures. 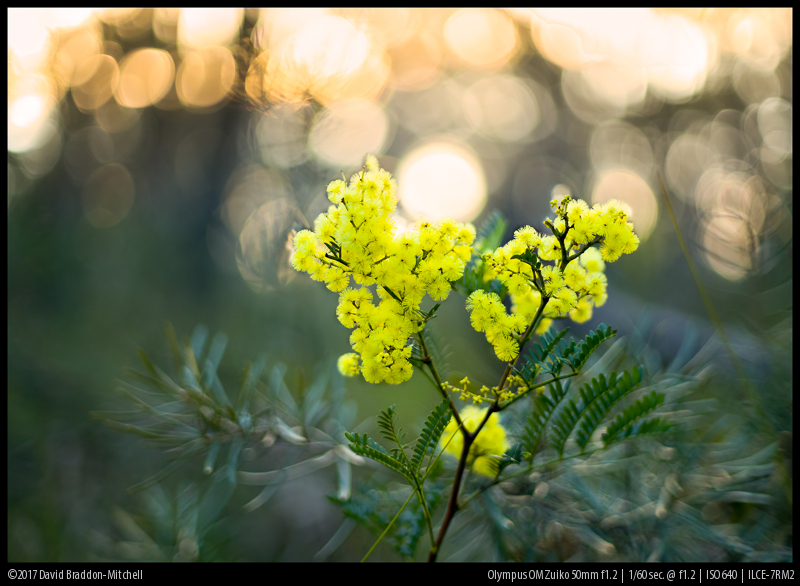 The DOF is of course very thin at f1.2, and the performance lower than at other apertures. In the next image I tried to achieve both wide open bokeh with a bit more detail at the point of focus. 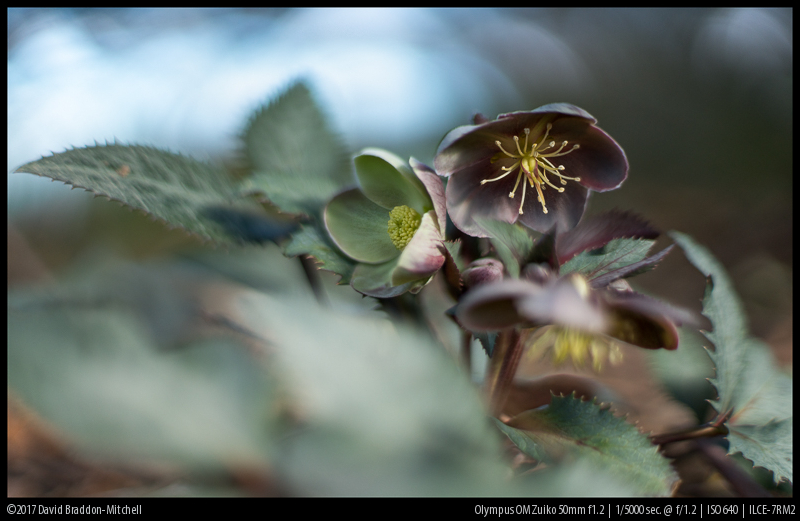 The EXIF shows it as taken at f1.2, but is in fact a stack of two images: most of the image is from a frame at f1.2, but just the anthers of the Hellebore flower are from a frame taken at f2.8 at the same time. 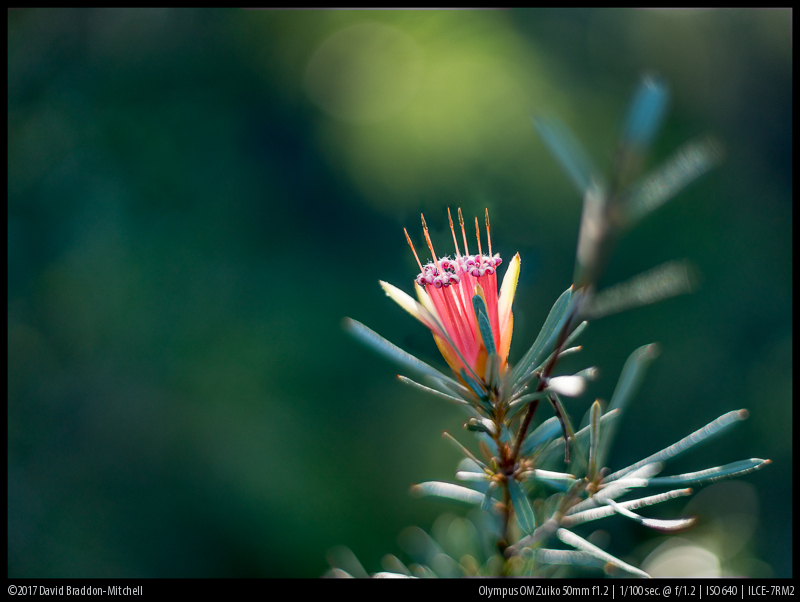 This allows one to get the overall bokeh of the f1.2 image, with a little more resolution and DOF at a precise point. The performance of the lens, though, is good enough that one does not need to resort to such time consuming techniques. Wide open near infinity there is a lot of halation even at the centre (though this is slightly less bad at closer distance, strangely). The mid frame is a bit soft, the corners are very soft indeed. At closer distance central resolution is usable; at infinity it is a bit of a special effect. By f2 the centre has cleaned up a lot, and so has the midfield. 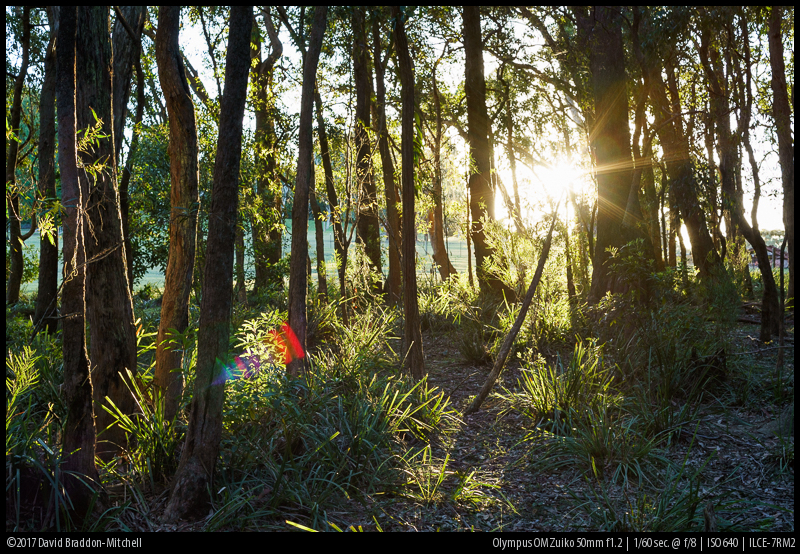 Given the nice bokeh at f2 I can imagine many users making good use of f2. The corners are little brighter and sharper, but still very unsharp indeed. Next f2.8 brings further improvements to the centre and midfield, and we are starting to see a little detail in the corners. At f4 the centre and midfield performance is very good, and the corners OK. f5.6 brings excellent peak performance in the centre, and very good and good results in the mid and corners. Stopped down to f8 the corners improve slightly. For landscape purposes the lens is best used at f8. But that’s true of many lenses, whereas what surprises here is that the lens really can be used for that application with good results. 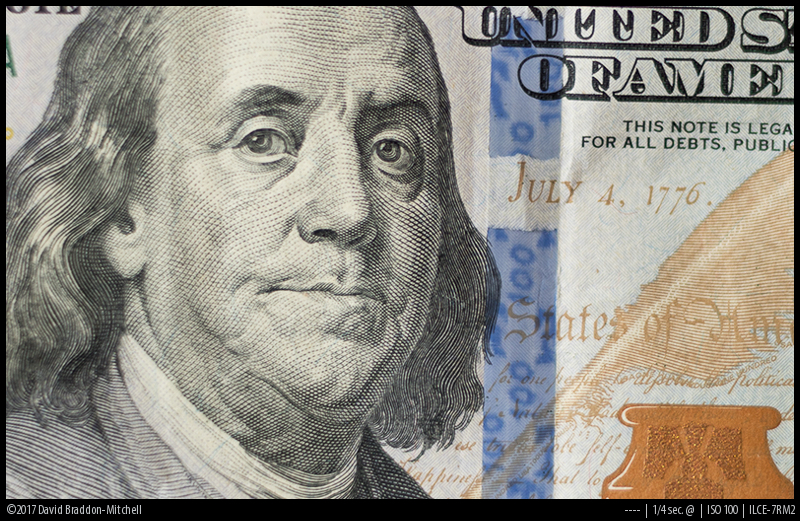 Even f5.6 can produce excellent results across most of the field. Of course few people will buy this as their only 50mm lens – it will usually be dedicated to wide aperture work – but it’s good to know that it can serve both purposes. 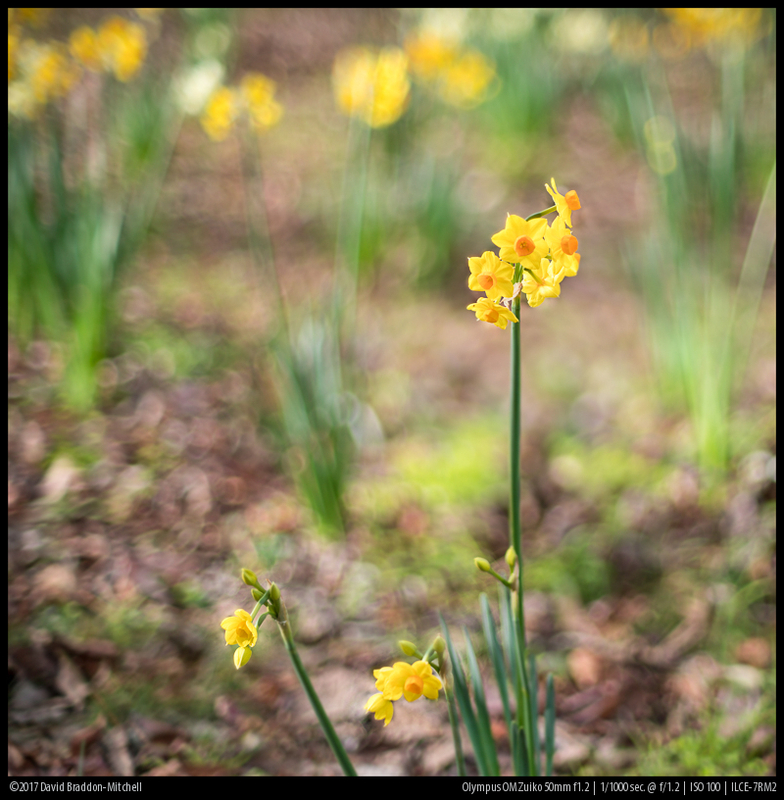 Here is an aperture series at minimum focus distance showing central sharpness. The sharpness is slightly asymmetrical on the f1.2 crop just because I couldn’t align the camera accurately enough without a laser alignment tool: every realignment produced a different asymmetry. This sort of thing is to be expected, and is a lesson not to do bookcase photos, chart images etc unless in the most controlled of conditions. Many new lenses may need to be returned, but many others are returned because of misinterpreting tests. But back to the images. 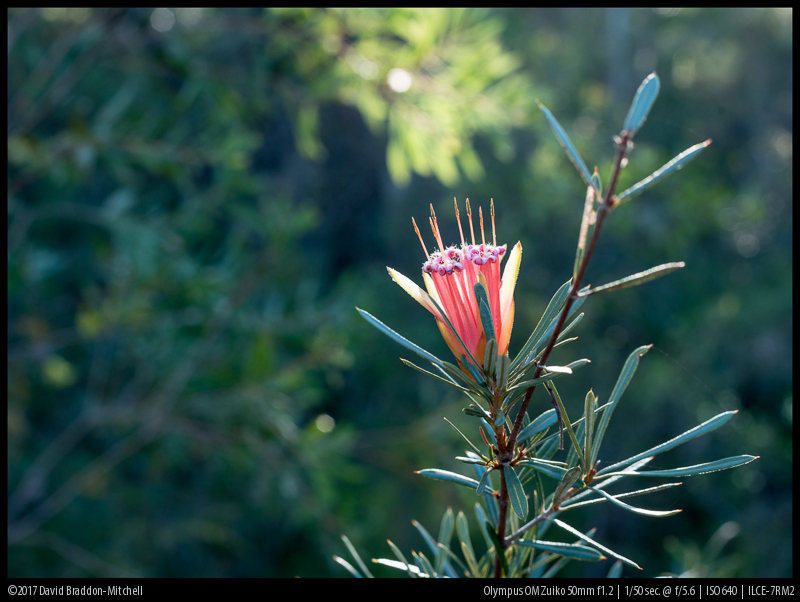 The close focus performance is remarkably good for an f1.2 lens. 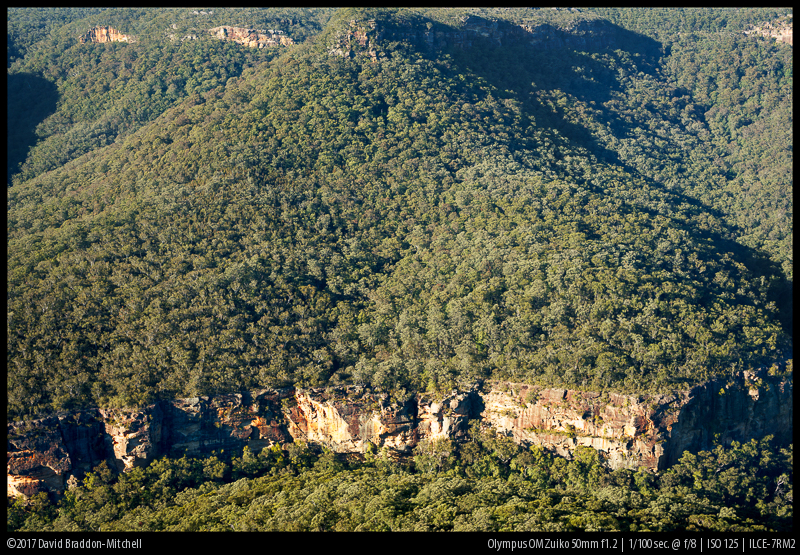 I can only conclude that the lens, while good stopped down, was optimised for closer distances. Makes sense: an f1.2 lens is usually for portraits. The lens does have no floating element, so the optimisation must be fixed. 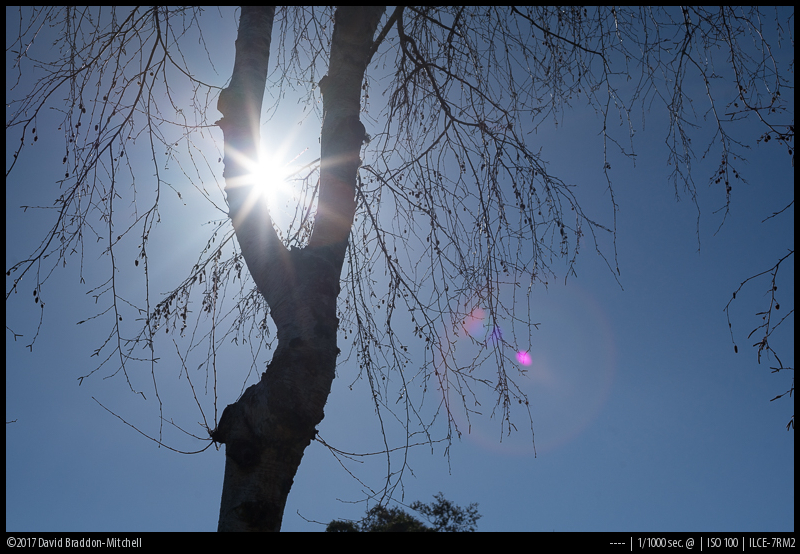 Flare is one of the weak points of most classic super fast normal lenses. 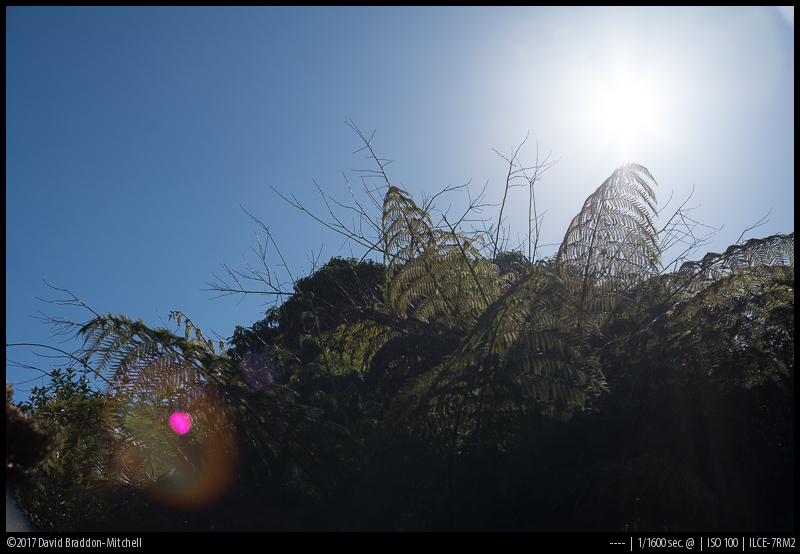 Veiling flare in particular can be extreme with the sun just out of the image. A small lens hood does little to help in this situation; but it can be dealt with remarkably well by shading with your hand. 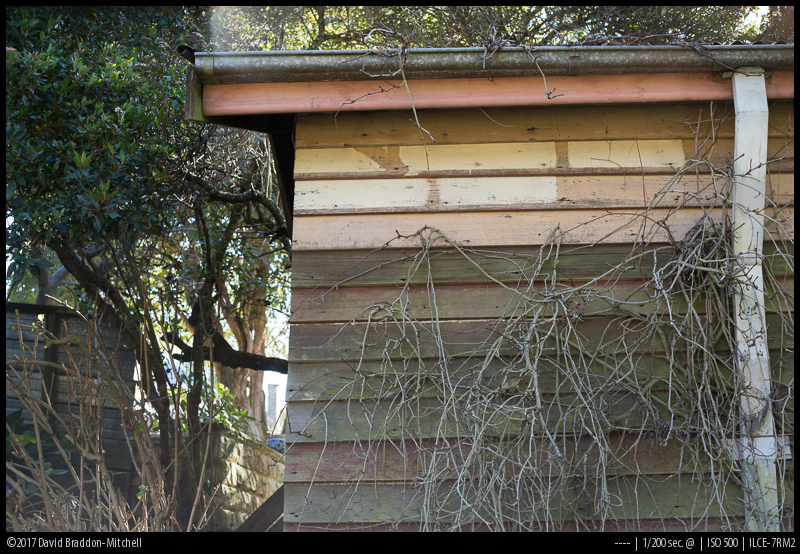 The following pair of images (at f5.6 – f1.2 is worse, other apertures similar) show the worst case I could easily generate, and a much cleaner image which was the result of just shading the lens with my hand. The results with the sun in the frame are a little better; but of course they cannot be corrected by shading! When the sun is in the centre of the frame you get quite good contrast overall, but a circular area of dramatic veiling in the outer regions: The following images are at f4; they are similar in overall pattern at other apertures, but a bit worse as you approach wide open. 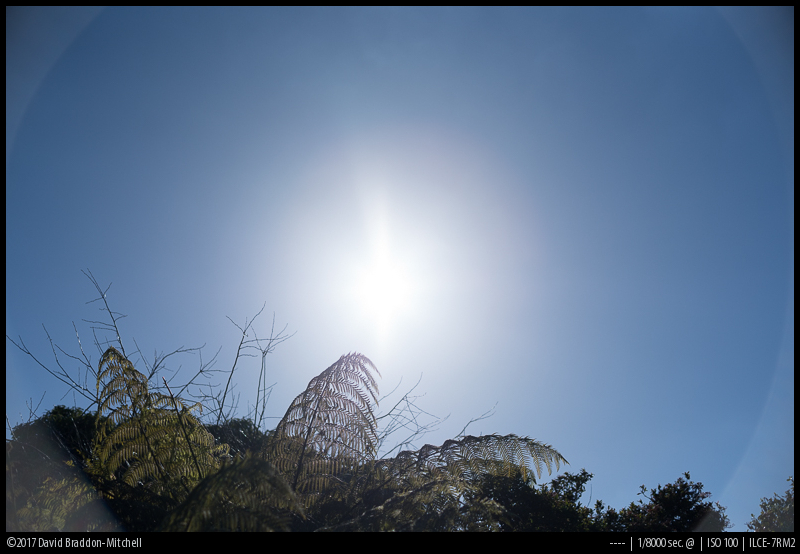 Overall this flare and sunstar performance is good for a lens of this type. If a Loxia type lens is ever produced with these specifications it will perform much better, and the ZA 1.4/50 performs much better, but this is a classic era f1.2, and the flare issues can often be worked around. When the sun is almost completely out, you occasionally get a rainbow artefact, but still with good contrast. There is some lateral CA; it mostly cleans up with the usual tools. A slight exception is at infinity, where there is CA which looks a bit like lateral CA which doesn’t clean up, but I suspect is actually spherochromatism – see the infinity crops. Here are some crops at an angle to the plane of focus to give a sense of longitudinal CA at closer distances. 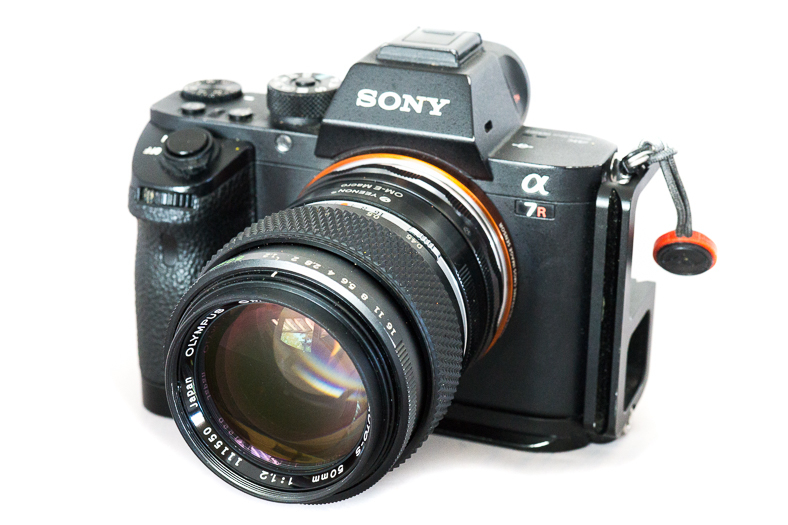 There have been two versions of the noctilux—an earlier f1.0 and a later f0.95. Both are staggeringly expensive. 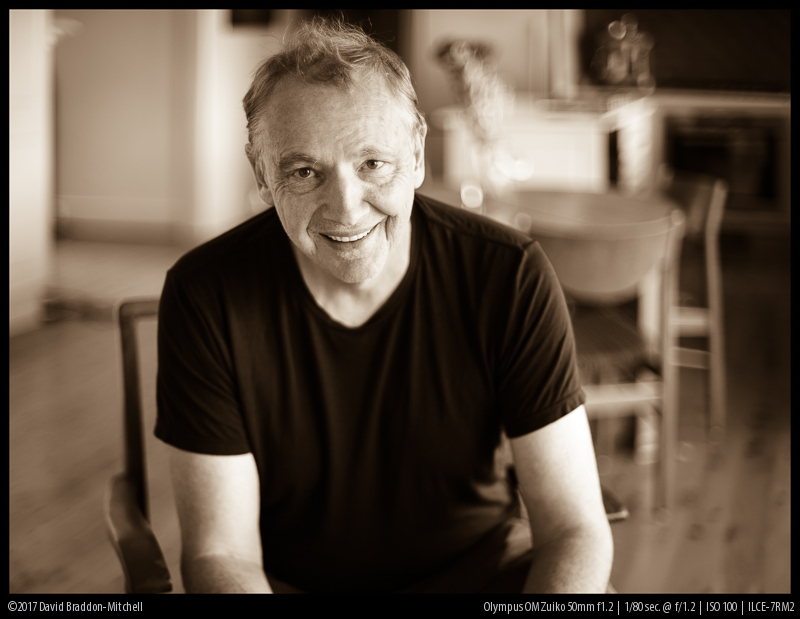 I have used neither – though Amin Sabet on his site talkemount published tests showing the later version to be similar in overall quality to the Mitakon when used on the Sony sensor. I doubt that they make any sense for use on a Sony camera. 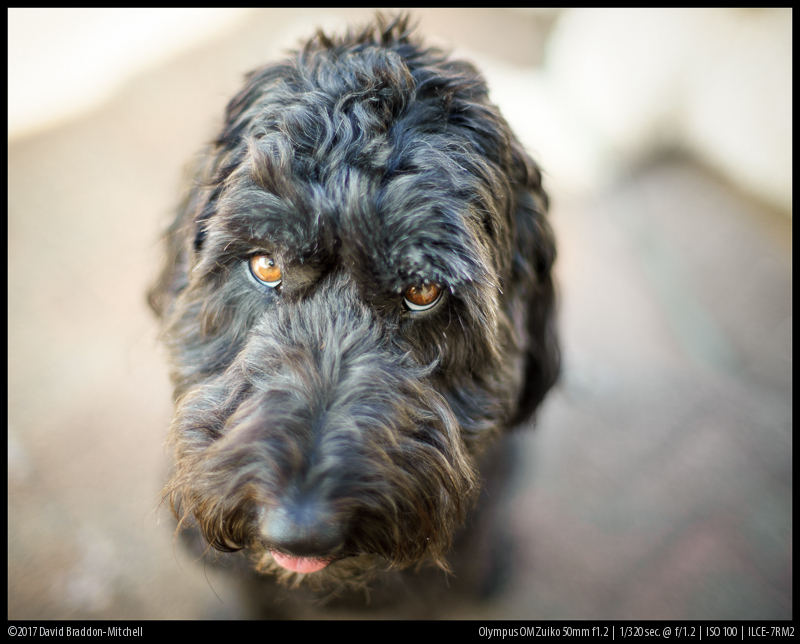 I had one of these lenses for a while, and Bastian has reviewed it here. I think if you plan to shoot at extremely wide apertures regularly it could be a better choice than the Olympus or any other legacy fast fifty. Wide open at f0.95 I think it’s as good as the Olympus at f1.2; and stopped down to f1.2 it’s a bit better. The LoCA is not better on the other hand, and I’m not convinced the Mitakon is better at closer than a meter. The Mitakon is also much bigger and heavier, and more expensive as well. 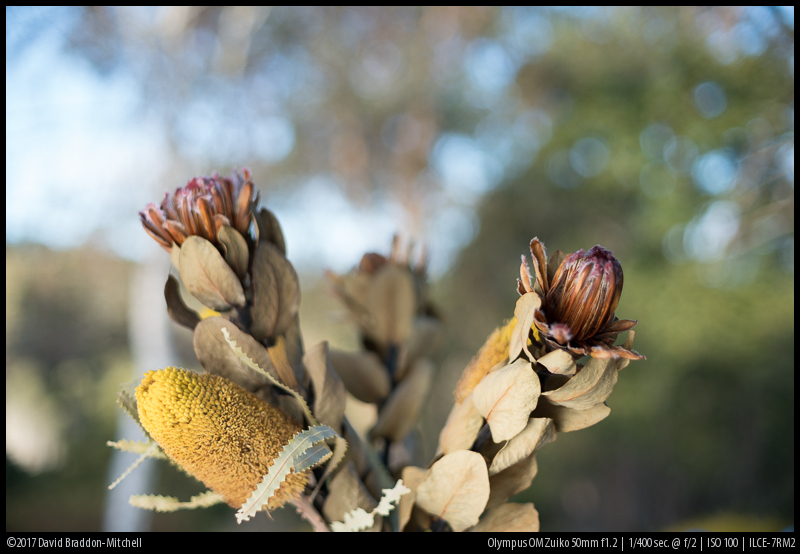 The Olympus makes a serviceable general use lens if you don’t want multiple 50mm lenses, and is a touch better stopped down to f8 than the Mitakon (or at least this was true of my copies). The size and weight also rule out Mitakon for general use. Mitakon has smoother and more predictable bokeh. Personally, for the limited use I have for super fast apertures, I’m happy with the Olympus, and enjoy the ‘personality’ its residual aberrations sometimes contribute. If you buy the Mitakon (truly the bokeh king) you can het it via our affiliate links from B&H PhotoVideo , or from eBay here we will get a small commission at no cost to you! There’s a review by Phillip here. 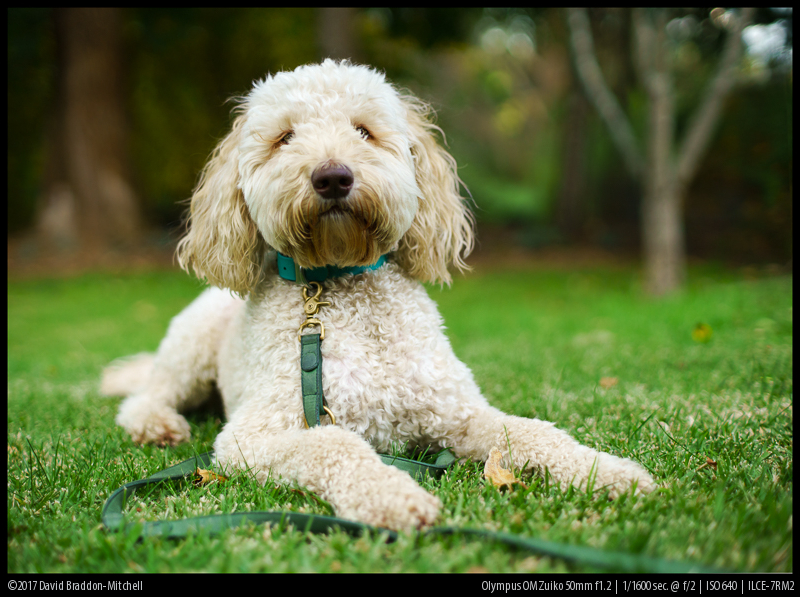 Maybe a better choice for portraits with its longer focal length and slightly smoother bokeh. A touch less sharp and contrasty in my limited experience. The earlier OM fast wide. I know people who adore this lens; but they are adoring it’s crazy bokeh. This can indeed be fun, but for my taste it goes too far – not quite trioplan, but in some circumstances that’s the direction. 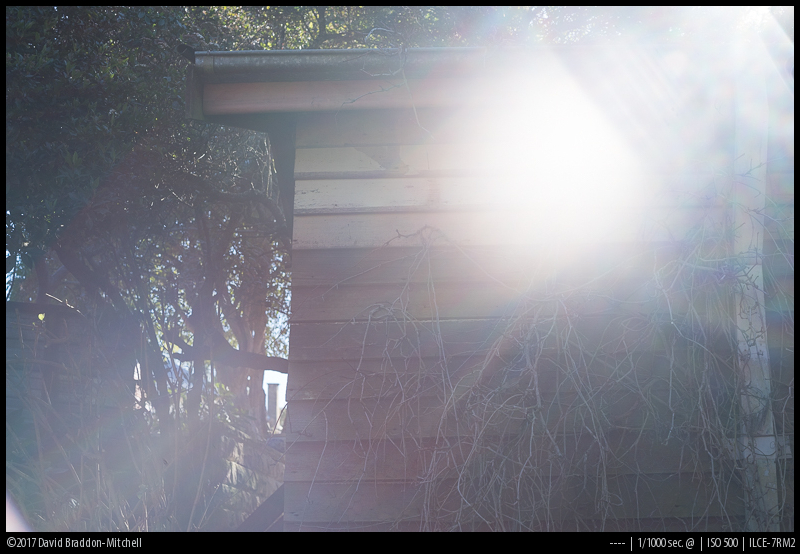 It’s also not as sharp, contrasty, or flare resistant as the later lens. But it has its attractions, and can be had via our affiliate link on eBay here. 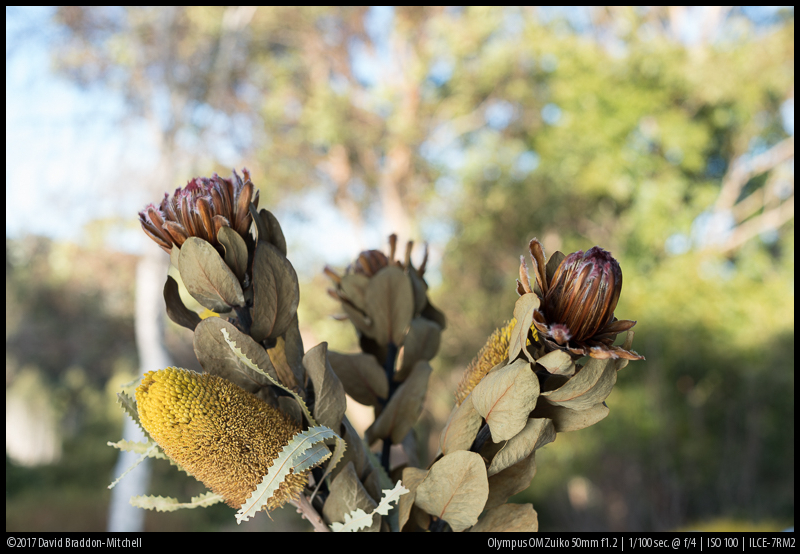 I won’t compare with any other f1.4 or slower lenses, but this is the obvious comparison. A modern fast normal like this is so sharp at f1.4 that it calls into question the need for f1.2. 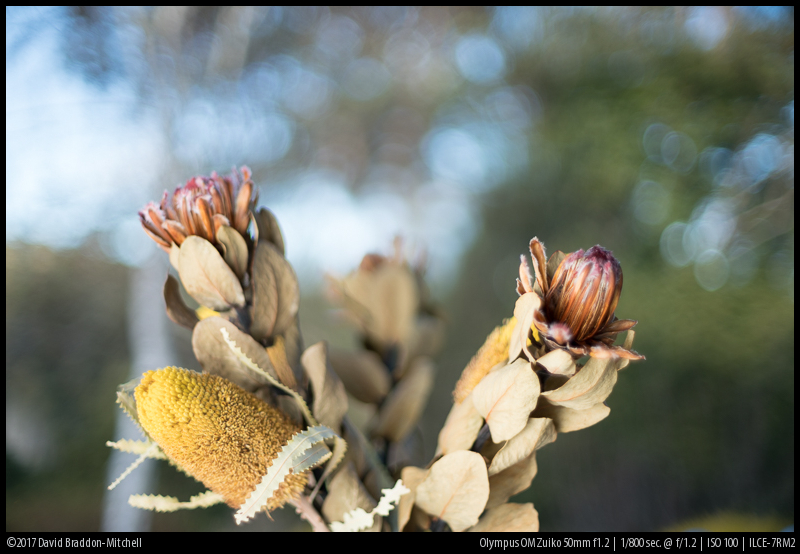 The effect of the super sharp in focus component against well controlled bokeh is arguably as good or better as you’ll get with the less sharp f1.2 image against a less well controlled bokeh on a classic lens. On the other hand it’s at least four times the price, and is bigger and heavier, and you might like the look of a classic lens. But it is probably the finest autofocus fast 50 you can buy. Our affiliate link to B&H PotoVideo is here. Alternately, you can try our affiliate link to German eBay here. But far more samples, especially from Japan , show up on international eBay. 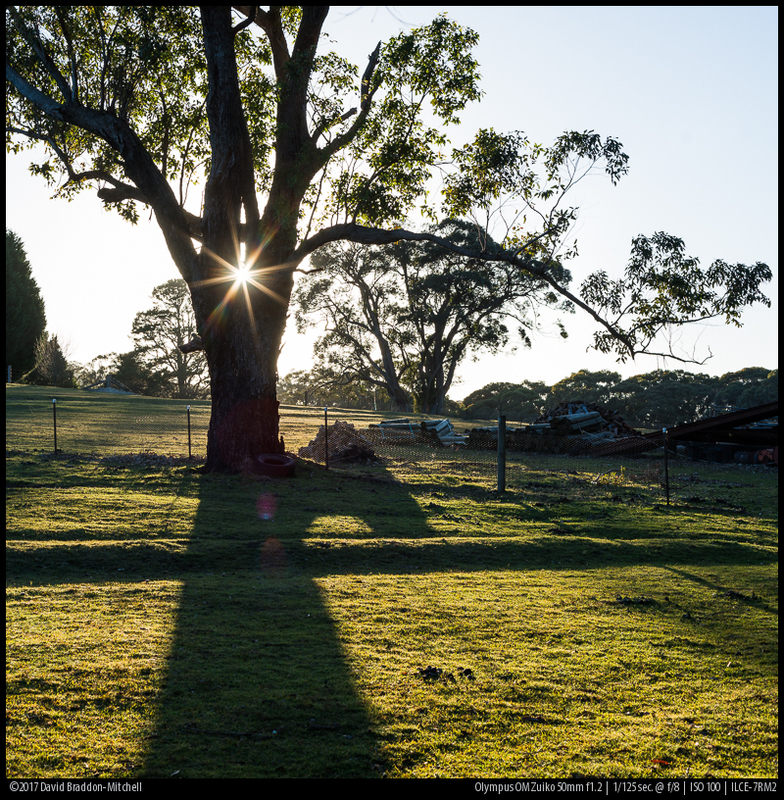 Previous PostTHE MANUAL PHOTOGRAPHERS SERIES PART 6: Simeon KolevNext PostSony A6500 vs. Sony A7II comparison – which one is the smarter choice? Very nice review indeed David. Personally I have the Cosina 55/1.2 (supposedly they used the same optical formula for its Nokton) which I had converted to PK mount and, because I am in love with it’s bokeh and especially it’s treatment of specular highlights, have kept it through my Nikon (unusable of course) and now Sony phases. It gets used from time to time on my Sonys by way of a PK-FE convertor and is quite a sharp lens once stopped down to f2. Same flare issues as your OM. There are a number of really nice 50-55/1.2s of this ilk (some identical, just rebadged) especially the Tomioka line : Chinon, Revuenon, Cosinon, Yashinon, Tominon, Rikenon and the similar (but different formula and not rebadged) Porst 55/1.2 Color Reflex. Also Nikkor 50/1.2 AiS, Pentax 50/1.2, Konika Hexar 57/1,2 etc. Yes there are lots; I didn’t aim to cover them all in the alternatives, just the ones that I or the rest of the team at Phillip’s blog had experience of. 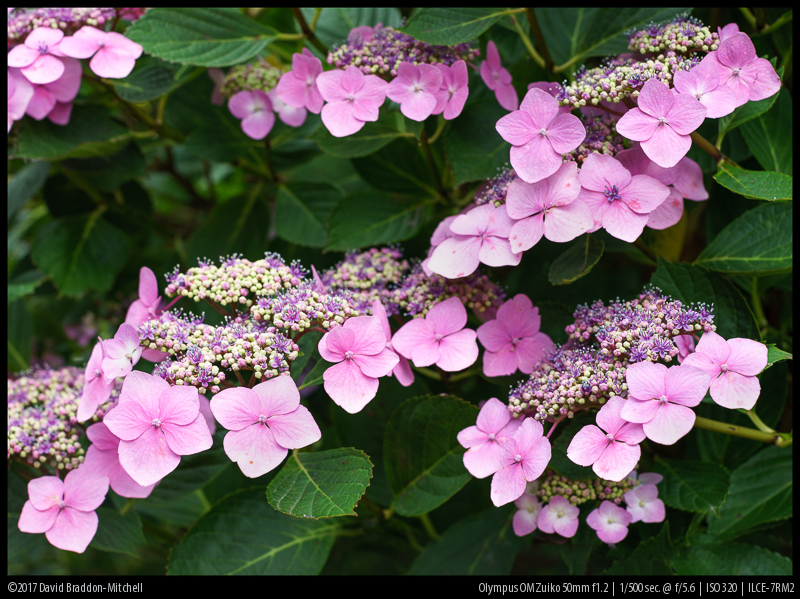 I love the closing sample image of the pink Hydrangea. The focus stack is also very creative and lovely. I wish I had a functioning digital body to go out and make some photographs! thank youf r the detailed comparisons and discussion. a pleasant and seemingly objective read. Hope the readies for digital body come your way. Original A7 bodies can be had fairly cheaply.. Thank you. Now another normal lens I covet. The OM 50 1.4 (late version) has some of my favorite bokeh stopped down past f2, but it can be really funky at f2. A tiny, sharp and versatile lens. The OM 2/50 was one of my favourite lenses back in the days of film. I think if I was going to choose only one Zuiko 50 it’d be the 2/50 macro. For all the attractions of the 1.2 in the end it’s great if you want f1.2 but there’s no reason to choose it if you don’t. and it doesn’t do macro! You have your capable Minolta for 1.2.
i kept the Rokkor 58/1.2 and the small and great Zuiko 50/1.4 late MC version. 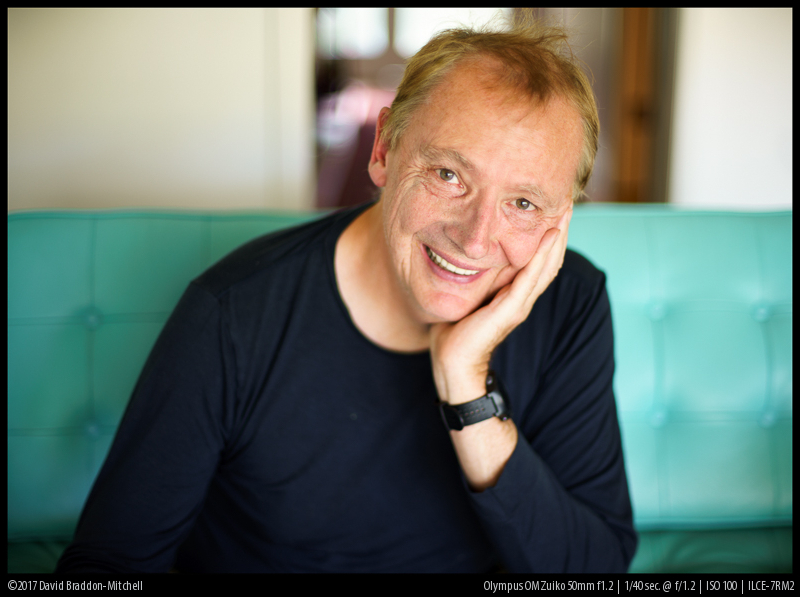 Had the 50/1.2 from Oly, but resold it as for DOF and portrait, the Minolta is better and for allround use, the 1.4 is better. Lighter and much cheaper as well. 5) the 7artisans 50mm f/1.1 for Leica M mount. ($370 new) I heard it has pretty bad performance, but it’s under $400 so it seems like a good deal. 6) the Konica Hexanon 60mm f/1.2 for Leica Screw Mount, almost impossible to find and usually $20,000. 7) the Rekord-4 52mm f/0.9 lens from the Soviet Union. 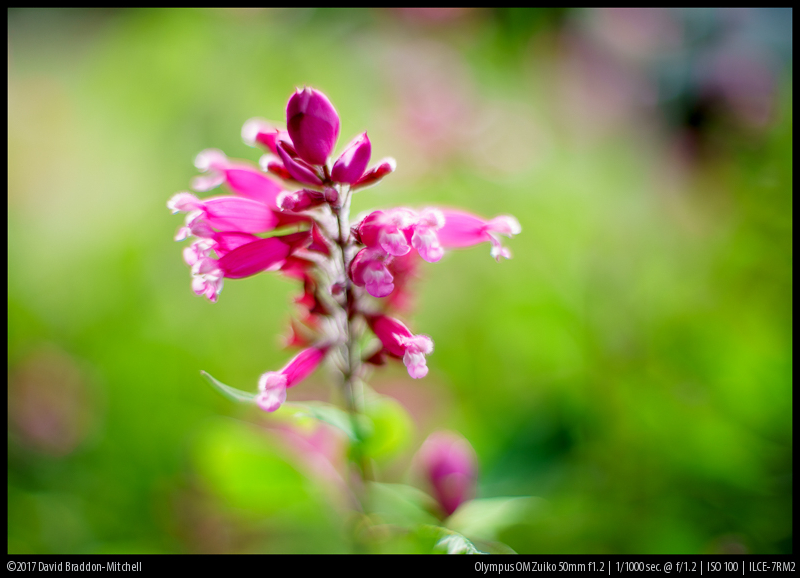 It’s possible to have a review from the Zuiko 55mm f/1.2? Since no one in the team owns it’s not likely to happen any time soon. You are seeing some loss of contrast, ghosting, and flare from the adapter. 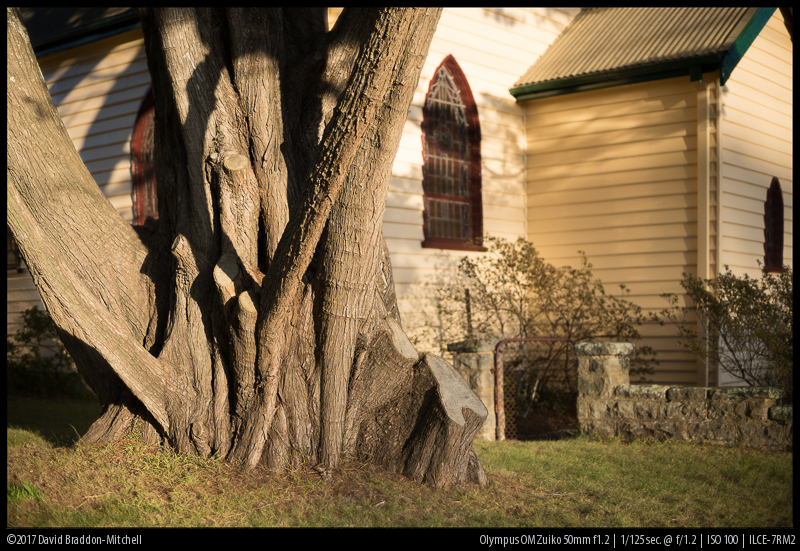 I’ve tried tens of adapters with the Oly 50/1.2 over about ten years, and the best for Sony is a pro quality OM-EOS adapter followed with the Sigma TC-11 ( or a flocked Metabones for second place). Not all flocked adapters have the same effectiveness. The flocking material and the design of the baffle will matter. Flocking with no baffle is better than none. However, since reading this post I’ve resolved [sic] to mount it on both Sony and Fuji X and go out and play. I’ve also just now remembered doing my own wide open shoot-off with my 7 or so legacy ~50s and it won easily. I concur with Paul’s comments above about adapters – you get what you pay for. I succumbed to this lens. KEH had a good one at a good price, and a sale on top of that. 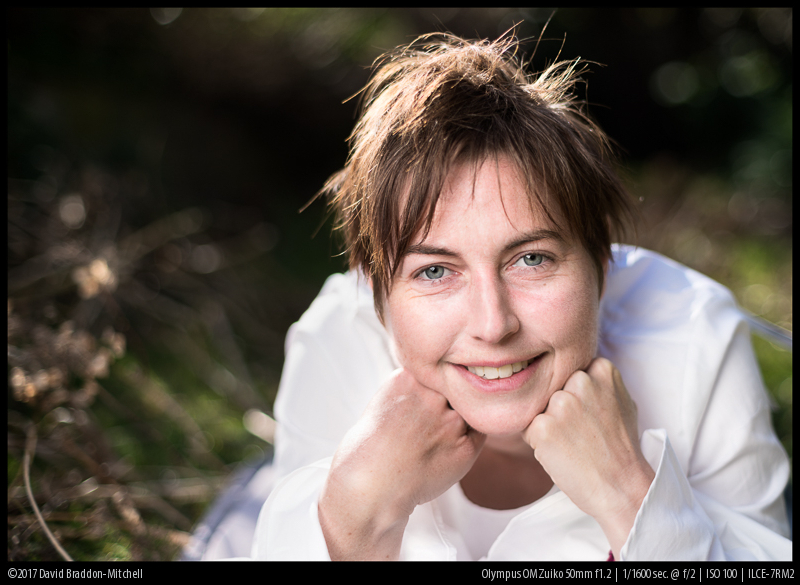 I’ve compared it a little bit to the Loxia 50 and the OM 50 1.4, very casually. It seems to hold up will to both of them at smaller apertures, which is amazing and surprising. (except it is worse for flare. I haven’t yet directly compared it to the MD 58 1.2, which is the direct competitor I think. I wanted to see if I could sell the Rokkor. I think I can but I will compare more. Surprising things about the OM: It is smaller and lighter than I imagined it would be. Compared to the Rokkor it is tiny and light. 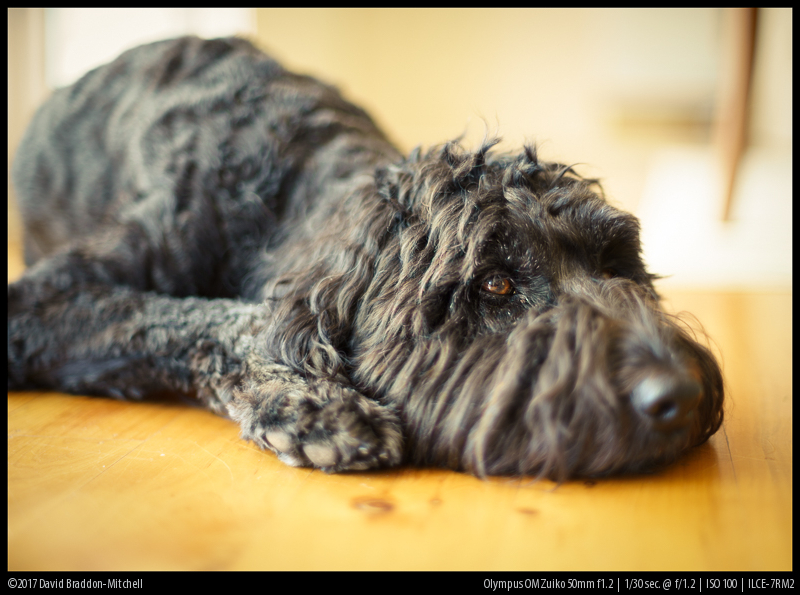 f 1.2 is worse in every respect than I thought, and I think worse than the Rokkor even, but f2 is quite a big improvement, and I suspect better than the Rokkor for sharpness if not bokeh, though the bokeh looks great here too. Still you have consider use cases. It’s not cheap, and unless I was happy using it at f1.2 or f2 I wouldn’t want it. As it happens, at f2 I think it’s really nice, and better than most legacy 1.4s stopped down, or legacy f2s wide open. Nice bokeh too. I haven’t tested for focus shift, but I bet there is some which is why on mirrorless it does so well at f2 whereas it’s reputation on SLRs was not so hot at this aperture. Yes, I think there is likely focus shift. I really got it for f2. My CV 65/2 of course has a great f2, and the Rokkor 58 has a great (but different) f2, but both of those lenses are heavy enough that I might hesitate to carry them in some situations. In fact the Rokkor gets left behind all the time because of the unfavorable heavy/great ratio. Also in street and social situations I feel awkward with a big honking lens on the camera — this Olympus does not scream “Big Serious Lens” in quite the same way. I used the 1.2 this morning in softer light and it seems much better. I think this lens at 1.2 might be better than the Rokkor, which is very soft and also prone to krazy krazy bokeh wide open. I’m really liking this lens! I used it a fair bit yesterday — soft light, ice storm — and it exceeded my expectations. Even wide open the results were often very good. And the bonus surprise yesterday was that I reached for it in my bag and thought I had brought the wrong lens until I double checked. When I pulled it out it was so lightweight I thought it must have been some other lens, not possibly a f1.2 lens. What a really good review—friendly, thoughful, thorough. Really appreciate it and makes be pay attention to the philipreeve site. Thanks. Took some work, and it’s not a small thing. And then to add: I have the 50mm f/1.2 Zuiko and am about to do a shoot with it. You get what you see, and I see a lot to love. I have this lens and I love it! A bit soft at 1.2 but bokeh is fantastic. I use it with a Canon 6D and Magic Lantern in mode trap focus, very useful to shoot. I never have to adjust cromatic aberrations. 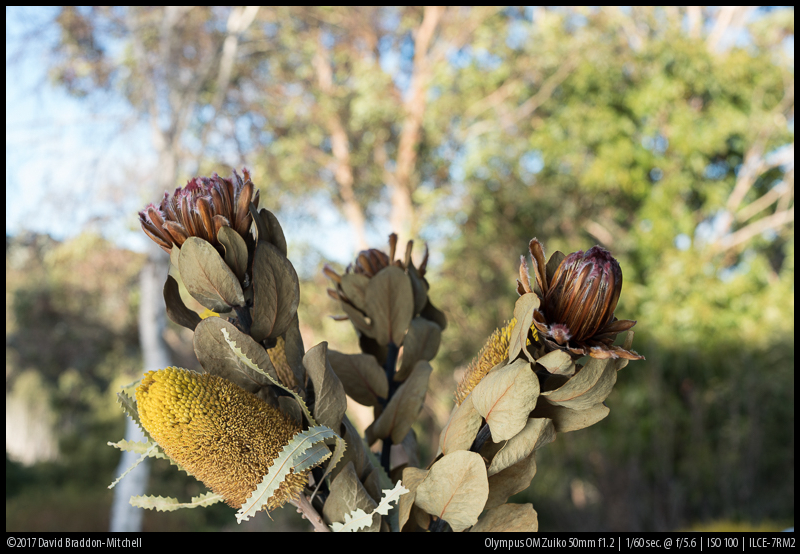 I also have a olympus om 50mm 1.8, not so great, so I have dismounted it and converted in a complete manual tilt & shift lens. Thanks very much for your thorough write-up and evaluation. I picked this up for cheap while traveling for work and shot some quite nice HP5 at 1600, but I read forum posts that dismissed the lens so I was hesitant to try with any slower films. I’ll pack it with me for this holiday.